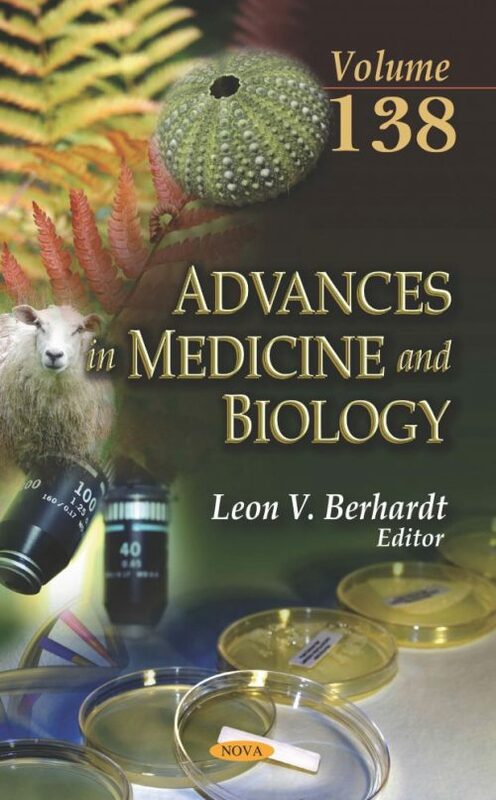 In Advances in Medicine and Biology. Volume 138, the authors reflect on the development of ethically reliable procedures that keep in line with cultural traits while guaranteeing proper implementation of the fundamental principles of bioethics, within the framework of ethically binding biomedical research. As such, this write-up gives an overview on the ethical implications and regulatory issues governing African traditional medicine research practices in Cameroon. This collection goes on to present the relationship between riboflavin’s chemical properties and its exploitable applications in both living organisms and analytical assays. Riboflavin, popularly known as Vitamin B2 or Vitamin G, was historically the second identified vitamin and presents itself as a yellow solid substance, and its higher stabilization is observed at pH 5. In the following study, technological discrimination of lactic acid bacteria species isolated from fermented cereal foods available in Abidjan are presented as of interest, because these species are used as starter cultures to optimize fermented product quality. The sugar fermentation pattern and identity of twenty-three lactic acid bacteria isolates were carried out by using a ApiwebTM/Api50 CHL test kit. Protease, amylase, and bacteriocins production as well as growth parameters after 18h culture are performed. Topical naltrexone therapy has been reported to reverse diabetes complications in type 1 and type 2 animal models in an effective and non-toxic manner. Because of this, the authors discuss the mechanism of action of naltrexone, as well as data documenting its efficacy in therapy for diabetic complications, supporting the repurposing of naltrexone for clinical use. Additionally, general opioid receptor antagonists such as naltrexone that block classical opioid receptors mu, delta, and kappa are still widely used to reverse drug and alcohol overdose/use. With the discovery of the opioid growth factor receptor axis as a novel biological pathway involved in homeostasis of replicating cells and tissues, the role of opioid receptor antagonists is expanded. Syndecans are transmembrane heparan sulfate proteoglycans expressed in a variety of cells, and their heparan sulfate glycosaminoglycan side chains bind to several proteins (such as chemokine and growth factors) taking on various biological roles. Several types of proteoglycans, including syndecans in the lung as components of extracellular matrices, were previously recognized only as “molecular glue” that supports the structure of tissues. However, growing evidence suggests that proteoglycans have a variety of biological activities such as control of inflammation, wound healing, development and homeostasis, which the authors examine. M-type phospholipase A2 receptor is a type I transmembrane receptor and belongs to the mannose receptor family. In 2009, M-type phospholipase A2 receptor was identified as a target intrinsic antigen in most cases of primary membranous nephropathy. The authors propose that in addition, the detection of circulating anti-M-type phospholipase A2 antibodies is useful not only for the differential diagnosis of primary membranous nephropathy but also for monitoring treatment, including after renal transplantation. The most frequent familial amyloidosis presentation is due to transthyretin, a protein analyzed in the concluding chapter and originally referred to as pre-albumin. There are more than eighty transthyretin mutations, the majority being amyloidogenic. The carriers of the mutation on this protein genes show a clinical heterogeneous amyloidosis according to the nature of aminoacid substitution.